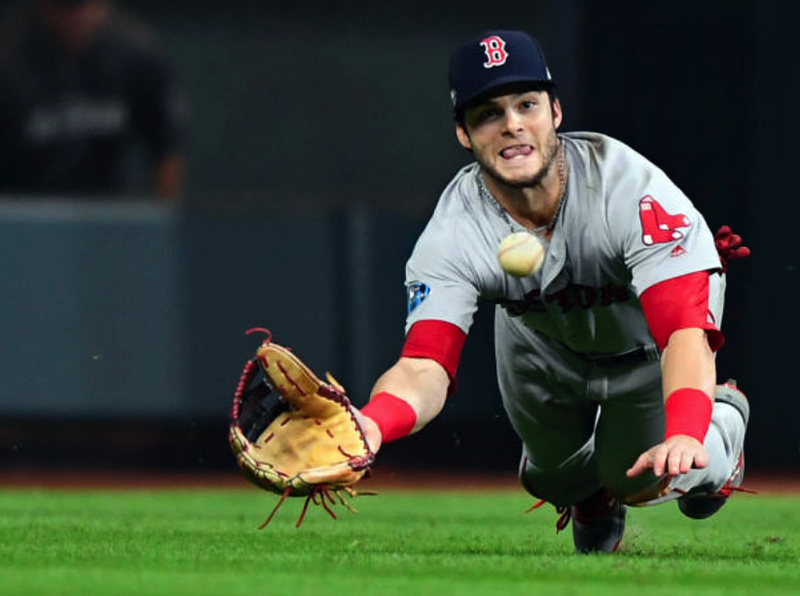 It will forever be remembered for Andrew Benintendi's diving catch in left to rob Alex Bregman of a game-winning hit in the ninth—the huge victory moving Boston to a commanding 3-1 series lead. MLB Network has just announced that—in their view—ALCS Game Four was the best of 2018. Of course, the game was far more than Benny Ballgame's gutsy grab. It was a see-saw contest—that seemed to be solidified by Jackie Bradley, Jr.'s clutch, two-out home run putting The Carmine Hose up 6-5 in the sixth inning (after an equally clutch two-out double by Christian Vazquez). Ah, but there was so much more to come! Despite the Red Sox building their lead up to 8-5 in the eighth, 'Cardiac' Craig Kimbrel (of course) made it interesting. The Boston closer gave up one run in the eighth—which would have been much worse were it not for one the best defensive plays of Mookie Betts' career. The 2018 AL MVP scooted to the right-field corner and gunned-down the speedy Tony Kemp at second base—on what seemed a sure double. Then, in the ninth, The Benintendi Dive. The Red Sox won, 8-6. Truly a great game—truly the best of 2018.